Who doesn’t like snacks? They’re delicious, very easy to prepare, and help balance the amount of nutrients required for your baby’s diet. If you think that your child doesn’t eat enough at breakfast, lunch, or dinner, a healthy snack can serve as nutritional support. On the other hand, your little one might have a healthy appetite and eat very well but still get hungry between meals. Healthy snacks are a great way to keep your child happy and satisfied. Offer two to three snacks every day, establishing good eating habits. 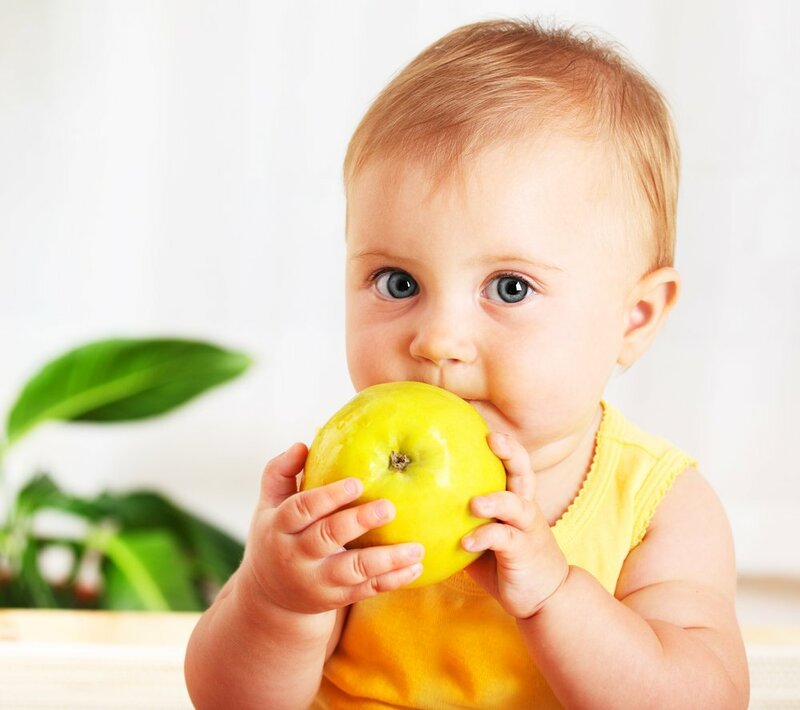 With a small portion, your baby will probably be satisfied, and it will prevent him from rejecting the whole snack and allow him to get to dinner time with enthusiasm. How do I introduce healthy snacks? It’s best to introduce snacks each day at the same time. That way, your child will learn to anticipate food at certain hours and will be prepared for them. Now, there will be days when your baby doesn’t finish his entire snack either because he isn’t hungry or doesn’t like it. However, try to continue offering the snacks at the same time to avoid confusion in your child’s routine. Offer healthy snacks and give your baby the opportunity to choose one if he asks for it. Let him choose between two or three healthy choices. Avoid giving junk food to your little one since they don’t add any healthy nutritional value to his diet. On the other hand, you don’t have to withhold these foods on special occasions like birthdays or parties. Just remember not to eat them in everyday life or offer them as a reward. That way your little one will soon understand that they are to be consumed only occasionally.